Many homeowners dream about having special projects done around the home but do not think that they are handy enough to attempt even the simplest of jobs. When they walk through a home store they are baffled by the hundreds of different building materials and tools. So they go home and spend hours pouring over home magazines and dreaming of the day when they can have the money to hire a professional. One of the reasons for this dilemma is that people tend to look too hard at the big picture and miss the components. In other words, by breaking down a large project, or a series of needed repairs, into smaller parts any homeowner can tackle a job. However, this process only works when there is a plan in place, one that contains a series of steps. The key to a successful project is to make a list of things you want to do around the home. Start with the items that need the most attention. If the jobs require messing with plumbing or electrical wiring you will probably need a professional. The key is to get your do-it-yourself plans down on paper so you can make a qualified decision. Otherwise these projects are just thoughts flitting around in your head and driving you crazy. As with many things in our life the more we learn about an unfamiliar process the aura of complexity begins to disappear. This works for do-it-yourself home repair projects too. With a bit of discovery many jobs will unravel into logical parts. One of the great things about most building supply and home stores is that they offer free courses in everything from installing tile to replacing a toilet. In addition, local libraries have instructional videos that are available free of charge. And if that is inconvenient then there are do-it-yourself websites with the same information. Seemingly-difficult jobs can also be de-mystified by using the proper tools. By purchasing a simple tool set you can be on your way to doing your own small projects: hammer, screwdriver with various bits, electrical pliers with cutting edge, adjustable wrench, 1” chisel, socket wrench set, level, keyhole saw. The best way to get a tools set is to go to a hardware or home store and ask for a complete kit. Once you have a basic tool kit you can add more tools as other jobs come up. From your research on your project you can begin to figure out the basic materials. However, always check with a few people at the building supply store first. They are up-to-date on building materials and can help you figure out what you need. Fear is the biggest motivator for not beginning a project. There are a lot of levels of fear but the main one is that you might mess up. So, like everything else in life you need to have a few practice runs. If you are installing laminate flooring start in a closet or in a place that won’t be seen. Practicing builds confidence and pushes aside procrastination. Another great way to get jobs done rather than pay handyman prices is to ask a friend or neighbor for help. Many of the people around you are very handy at things like installing a door or building shelving. If they can’t put in time for the whole project, like laying tile, they probably can get you started and give you tips on how to proceed. 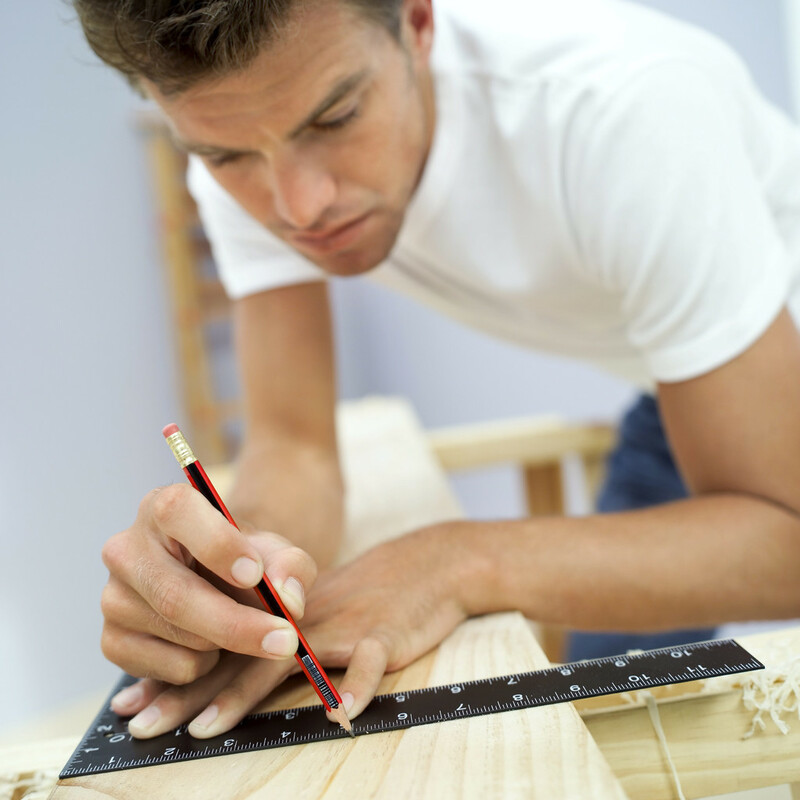 Thinking of selling and not sure which DYI projects will give you the biggest bang for your buck? Find a real estate professional to help you here!